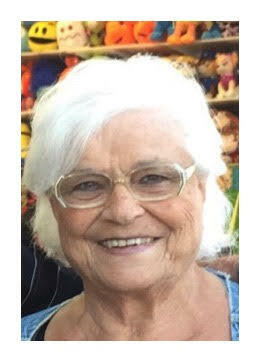 Rose (Gadino) Pasquale left this world on Friday March 29, 2019 at Sunrise of Morris Plains, at the age of 86. Rose was born and raised in Union City. She lived in North Carolina, Wayne, and Lavallette before moving to Bayville 10 years ago. She recently moved to Morris Plains to be closer to her children and grandchildren. Rose lived a full and happy life with her family. She was a waitress at Joe’s Chadwick Beach Diner for many years before retiring. She and her family loved spending summers at the Jersey Shore, boating, crabbing, and riding bikes. Survived by her loving husband of 64 years, Albert H.;son, Albert F. and wife Maria; daughters: Diane Koenig and husband Jeffrey; Donna Ricciardi and husband Bob; sister, Dolores Dalik; and grandchildren Elizabeth, Alex, Rae, Leigh, Zachary and Justin. Rose loved the Popcorn Park Zoo. It is permanent home to exotics, wildlife, farm animals, and birds who suffered abandonment, cruelty, injury, etc.